Living a healthy lifestyle in this high-tech modern world isn’t easy. When possible we try to eat right, exercise appropriately and control stress, but the reality is it feels like our modern world of convenience conspires against us at every turn to make us look and feel tired and sick. Microwaves and ATM’s can be nice, but the sad truth is we still breathe polluted air, we stress about bills, traffic and the economy, we don’t always get enough sleep or exercise and the food we eat is more about taste then nutrient content. In today’s world people are still literally confused on how to help themselves nutritionally. Most people want to look and feel better, but they just do not know where to begin. The old adage that we are what we eat, is simply not true. The truth is we are what we absorb and ultimately what our bodies utilize. That is why the team of doctors, nutritionist’s, and health professionals who helped formulated Forever Daily (#439) spent three years researching and selecting the individual ingredients and creating a balanced formula that focuses on maximizing nutrient utilization by our bodies. Forever Daily supplies us with 55 of the most well-researched and proven ingredients, in scientifically balanced ratios, to work with our body. These ingredients may help support our daily energy needs, our immune system, our metabolism, our cardiovascular health, our bone health, our mental activity and most importantly, help combat oxidative damage in every cell of our body. Research shows that each part of our body contains higher levels of certain nutrients. A deficiency of those nutrients could impact performance in that area of our body and a negative domino effect could result. To keep this from happening, Forever Daily provides key nutrients at optimal levels to bridge the nutrient gaps that occur in everyday life. It would take book to discuss all 52 ingredients, and how they can benefit us, but let’s at least look at a few of the amazing nutrients in Forever Daily. 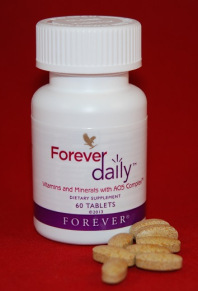 Forever Daily is first and foremost a high potency full spectrum vitamin-mineral formula. Each vitamin and mineral has been hand selected and placed in balanced amounts to maximize absorption. There can be a cooperative or competitive action between certain nutrients depending on the level and form. When a formula is created properly, nutrients can work as catalysts, promoting the absorption and assimilation of other nutrients. Creating a formula is one thing, creating a balanced, synergistic formula like Forever Daily is another thing altogether. For example assimilation of Vitamin A is reliant on the correct ratio of Zinc and Vitamins C, D and E. Assimilation of Manganese is reliant on the correct ratio of Vitamin B6, Calcium and Copper. The interaction and relationships between vitamins and minerals is very complicated and requires tremendous work to reduce interferences and maximize synergies. All of these synergies were taken into consideration while formulating Forever Daily. Every living cell on this planet depends on minerals for proper function and structure. Unfortunately, after most minerals enter the body, they compete with one another for absorption and as a result may not be efficiently utilized. For example, large amounts of zinc can lower the absorption of iron and copper. That is why the form and ratio of the minerals we consume is as important as consuming the minerals. Forever Daily uses patented chelated minerals. Chelated minerals are special minerals that are bonded to protein molecules that transport them directly into the bloodstream which enhances their absorption. Unlike many of the minerals commonly used in supplements that are not readily absorbed by the body and can cause stomach irritability, chelated minerals are designed to not compete with other minerals and nutrients so that they can be readily absorbed and not disrupt the natural pH balance in the gut. The result is maximum absorption and utilization by the body. 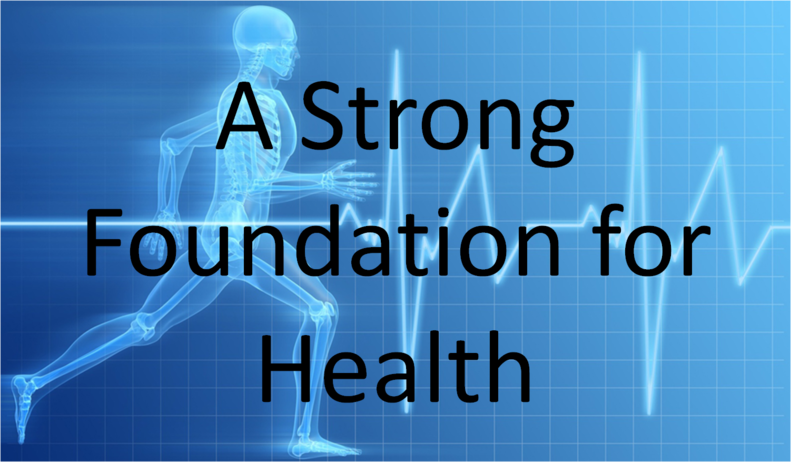 Just like with the construction of any building, the key to creating and sustaining optimal health starts with a strong foundation. There are certainly numerous supplement that can help to support a variety of different body systems, but focusing on a set of core nutrients can have overarching effects that positively impact every cell and tissue in our body. From this foundation, we can then build a targeted supplement regimen to focus on more specific areas of concern. Building that strong base to support the entire body including the core tissues and systems, however, is paramount to optimal health. Many physicians and scientists have realized that the health of the gastrointestinal (GI) tract is the root of our overall health and well-being. The GI tract is where nutrient absorption occurs from the food and supplements we take, and it is also a major component of our immune system, protecting us from foreign invaders. As such, it is important to ensure the integrity, structure and function of the cells in the GI tract, in order to impact the health of virtually every other cell in the body. Forever Aloe Vera Gel (#015) can play an essential role in this process. Aloe has been found to contain over 200 beneficial compounds, and the benefits of Aloe are numerous – ranging from supporting and soothing the digestive tract, to helping ensure the the activity of other nutrients we are ingesting, including macro-nutrients like protein. This is a key to how Aloe Vera Gel fits so perfectly with Forever Living’s dietary supplement, including and especially the foundational products for health – Forever Daily, Forever Active Probiotic, Forever Arctic Sea, and ARGI+. 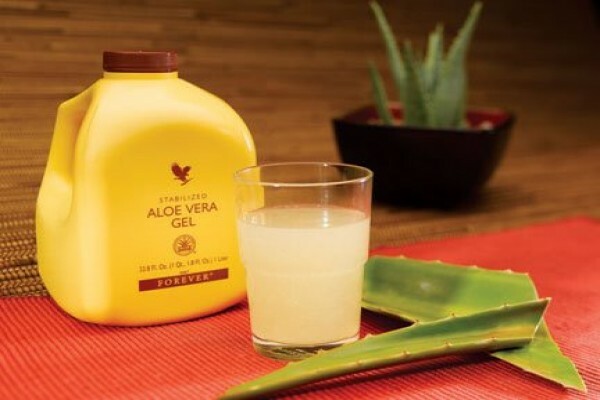 By helping to soothe the digestive tract, Aloe can help to prepare the body for nutrient absorption. Recent research demonstrates that consuming Aloe with other nutrients also enhances their bio-availability, as much as 3.7 times for vitamin E alone! Aloe Vera therefore acts as the foundation for enhanced nutrient availability from Forever Daily (#439), which helps to provide the optimum level of vitamins and minerals that we simply aren’t obtaining from our diets. 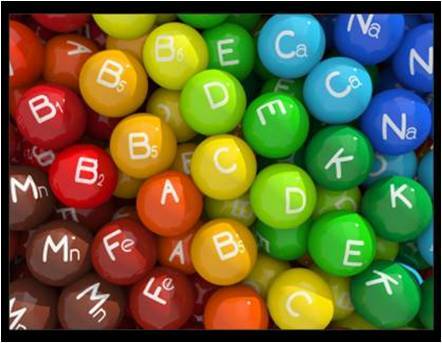 These vitamins and minerals can act to fill in the gaps in our nutrient intake, especially when we aren’t eating well. But, even those of us who consume the healthiest of diets aren’t getting close to the levels of nutrients that we would have been getting 20, 50, or 100 years ago. The soil we are growing our food in just isn’t as nutrient-dense, which means the food we are consuming isn’t either. Add to that all of the stresses in our lives, as well as our exposure to toxins in the environment, and we need even more to make sure that we are obtaining enough vitamins and minerals. The Journal of the American Association – one of the most prestigious journals of medical doctors around the world – has published research supporting the use of a multi-vitamin-mineral for all adults. They recognize that because of the world we live in and the choices we are making, we need those extra vitamins and minerals in order to achieve optimal health. Remember again, that combining Forever Aloe Vera Gel with Forever Daily can help to ensure even greater bio-availability from the nutrients in this comprehensive multi-vitamin-mineral formula. Aloe Vera also acts as a probiotic to support the use of Forever Active Probiotic (#222), which, in turn, also helps to support nutrient availability and metabolism in the body. “Probiotics” are the good bacteria that live in and on us, supporting our immune system and generally health, and the utilization of nutrients from the food we eat. Just like with the levels of vitamins and minerals we obtain from our diets, our lifestyle choices can impact the delicate balance of good vs bad bacteria in our bodies. The amount of research coming out on the benefits of probiotics over the past several years has been staggering. Scientists and practitioners are starting to realize the true extent of the role of the micro-biota of our bodies and their impact on our overall health. An imbalance in the types of bacteria present in our digestive tract affects not only our digestion and nutrient absorption, but can influence our energy levels, weight, immune function, and more! 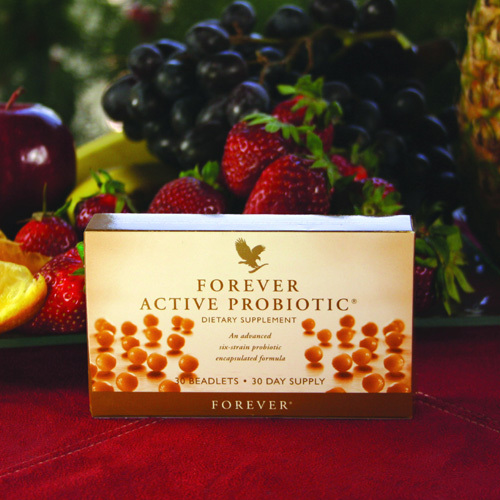 Forever Active Probiotic helps to restore and support the intestinal flora with six strains of probiotics in a proprietary blend. Similar to the vitamins and minerals that can be lacking from our modern diets, research indicates that we are not obtaining adequate levels of essential fatty acids that are so important for brain, nerve, cardiovascular, and visual health, especially the Omega-3 fatty acids as found in cold water fish and calamari oils. Scientists have discovered that the ideal ratio of Omega-6 to Omega-3 fatty acids – one we would have obtained prior to life in our “modern” world – is somewhere in the range of 1:1 or 1:4. With our typical diets however, we consume more along the lines of 20:1; much higher levels of Omega-6 fatty acids than Omega-3’s, which can contribute to many of our modern health concerns. 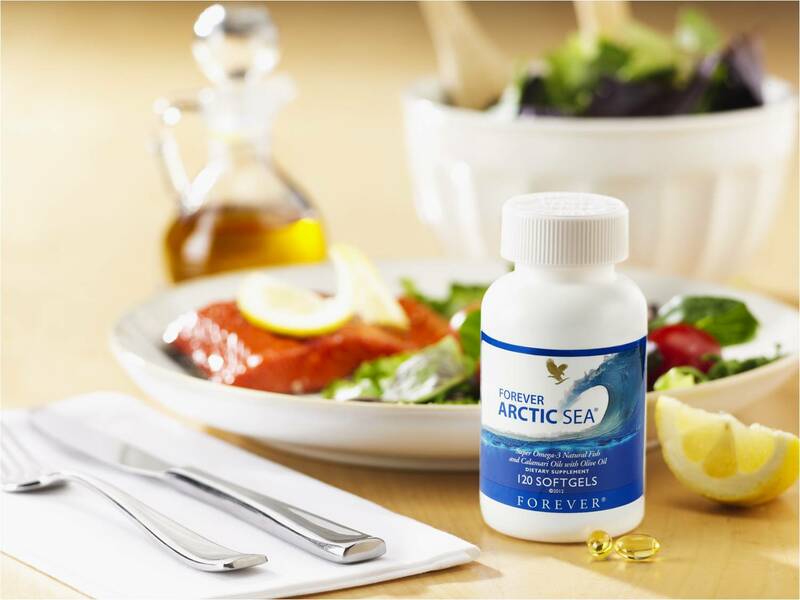 Arctic Sea can help to offset this imbalance from our diets, and provide the essential fatty acids that can help to support brain, joint, skin, eye, and cardiovascular health. Research is also now demonstrating the benefits of Omega-3 fatty acids for digestive health, which makes Forever Active Sea (#376) a perfect foundational companion for Forever Aloe Vera Gel and Forever Active Probiotic, as well as Forever Daily! 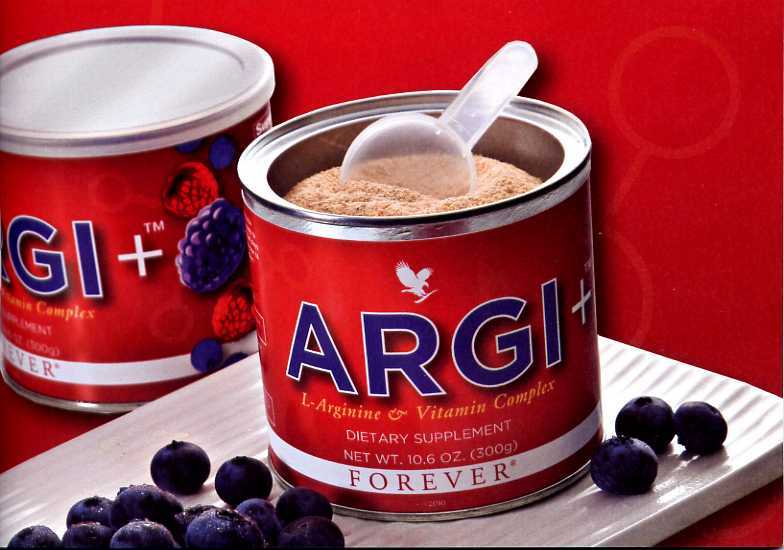 The final brick in Forever Living’s foundation for optimal health is ARGI+ L-Arginine & Vitamin Complex (#320). Arginine is converted to nitric oxide, which helps to relax blood vessel walls and support circulation throughout our bodies. As a result, arginine is well known for its benefits in supporting cardiovascular health. 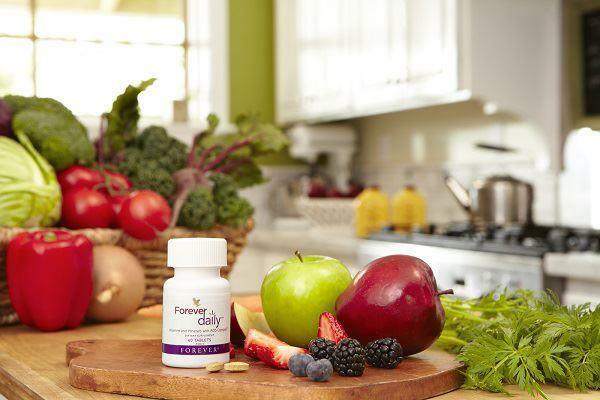 Poly-phenols from our proprietary Forever Fruit Blend – Grape Skin, Pomegranate and Red Grape extracts, and a blend of darker berries and fruits like Elderberry, Raspberry, and Black Currant – support the cells that line blood vessels to also support circulatory health. Since it is the circulatory system that picks up nutrients we consume from our GI tract and carries them to our bodies’ cells and tissues, ARGI+ is the perfect means of ensuring that the nutrients we need make their way to our cells and tissues, and metabolic waste products are carried away for excretion. Forever Living’s ARGI+, Forever Aloe Vera Gel, Forever Daily, Forever Active Probiotic and Forever Arctic Sea combine to create the perfect foundation – supporting our bodies’ core tissue and systems for a strong base on which to build, maintain and optimize our health! 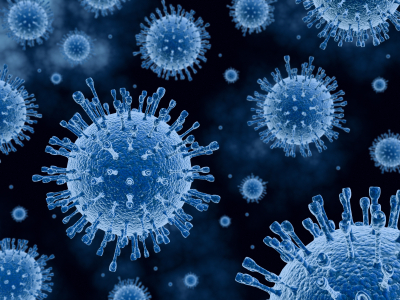 Flu Activity Up and Down. Steps You Can Take to Stay Healthy. Your neighbor is coughing; your mailman is coughing, and even your son comes home from school with a cough. The flu has made its way to the news headlines, so you will want to do what you can to help make sure it doesn’t make its way to you. The easiest way to catch the cold or flu is by rubbing your nose after sneezed on. 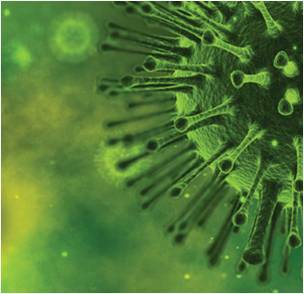 Experts from the Mayo Clinic say that cold and flu germs have shown potential to live for 48 hours or more. So while you will want to remember to avoid rubbing your nose, it’s also good practice to wash your hands frequently, use hand sanitizer and keep your immune system boosted. Here are some products from Forever Living that can help you stay healthy this season. Aloe Hand & Face Soap is a rich, moisturizing hand and face cleanser with a generous amount of aloe. It creates a luxurious lather, leaving the skin feeling clean, smooth and silky, while minimizing the irritations experienced with some bar soaps. Its mild formula also makes Aloe Hand & Face Soap an ideal shampoo for children and adults alike. Biodegradable, pH-balanced and non-irritating, it is mild enough for daily facial, hand, hair or body cleansing, and is suitable for those with sensitive skin. 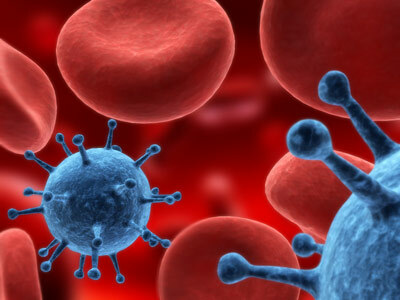 Forever ImmuBlend™ is designed to support immune system function by addressing all aspects of the immune system from its first line of defense to its last. Each ingredient in our proprietary blend is specifically chosen for the crucial role it plays in supporting your body’s immune system function. It helps the body’s biological defense system to operate at peak performance so you can carry on your daily routine without any cares. Fructooligosaccharides – promote healthy levels of probiotic bacteria in the digestive system. Has this ever happened to you? You’re feeling like life is finally coming together. You’re managing work and fitness with ease. You’re looking forward to all your favorite activities and you have plenty of energy for all of your hobbies. Then over the course of a week or two, you find that each day you have less and less energy. You want to go to bed earlier and wake up later. You start to crave foods you normally don’t eat and you no longer have the zest for the things that used to bring you joy. Before you know it, you’ve come down with a cough, congestion, maybe even a fever. It seems hard to believe you’re even the same person. It happens to all of us at one time or another: our bodies become overloaded and haven’t done enough to support them. The benefits of Fructooligosaccharides have been known in Japan for years, where their properties as probiotic support for the growth of friendly bacteria were acknowledged early on by the Japanese government. Fructooligosaccharides have also been known to increase calcium absorption in the large intestine. Extracted from fruits and vegetables such as jicama, tomatoes, chicory and leeks. Fructooligosaccharides are a natural way to boost the immune system. Lactoferrin is a protein that is extracted from milk for its probiotic and immunity-boosting properties. It is a naturally occurring substance in the human body, one that can improve your immune system’s responses at the cellular level. In China and Japan mushrooms have been used for their nutritional and healthful qualities for more than 3000 years. Research has shown the mushrooms have compounds and nutrients that are not found in other plants. In studies on mice, it has been shown that mushrooms have powerful immune-boosting properties. Vitamin D occurs naturally in very few foods, such as cod liver oil, beef liver and sardines. If the thought of fitting those foods into your dietary regimen does not sound appealing don’t worry, with Forever Immublend, there’s another way to get the benefits of Vitamin D, which supports healthy cell proliferation, increased calcium absorption and a healthy cardiovascular system. Your body might obtain enough Vitamin C through diet since it occurs naturally in delicious fruits like citrus, pepper and sweet potatoes. But this nutrient is such a powerhouse you’ll want to make sure you’re getting plenty. Vitamin C has been shown to improve the immune system, increase absorption of iron from plant-based foods and help protect cells from free radicals. If you already have cold and go the store to buy lozenges, chances are they will include the mineral zinc. That’s because zinc has been shown to provide support to help your immune system get back to full strength more quickly. The other great thing about Forever Immublend is that it can be taken daily, year-round, without losing effectiveness.